Separate 1 can Pillsbury™ Grands!™ Southern Homestyle refrigerated Southern Recipe biscuits into 8 biscuits. Cut each biscuit into 8 pieces; place in baking dish. 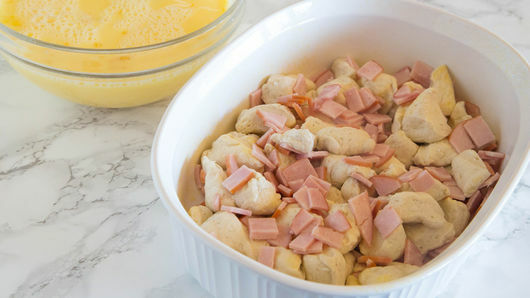 Add 8 oz thinly sliced Canadian bacon, chopped; mix gently with biscuit pieces. In medium bowl, beat 8 eggs and 2 cups milk with whisk until well blended. Pour over biscuit mixture. Bake 30 to 40 minutes or until biscuits are puffed and knife inserted in center comes out clean. Remove from oven. Meanwhile, make 1 package hollandaise sauce mix as directed on package. 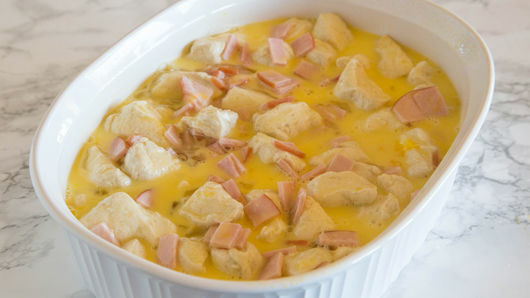 To serve, cut casserole into squares. 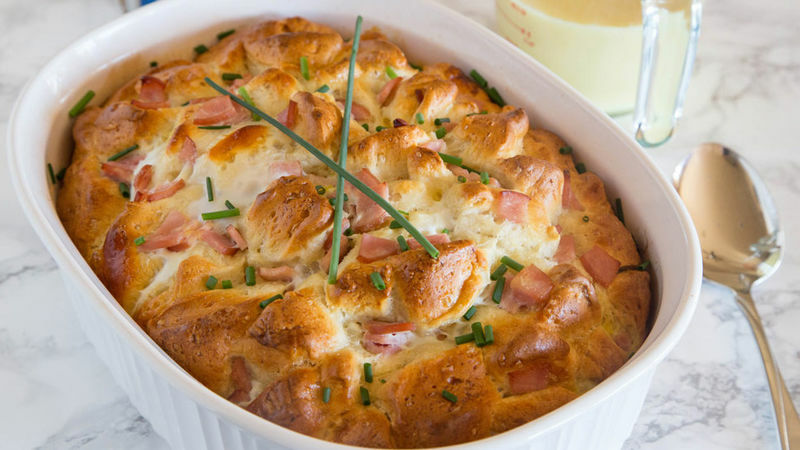 Top each serving with hollandaise sauce; garnish with chopped fresh chives. Use ham instead of Canadian bacon if that’s what you have on hand. Take this over the top and mix in 1 cup shredded Cheddar cheese with the eggs and milk.